Premium quality data is the biggest asset for businesses in this digital age because the right information gives the power for businesses to take key decisions. However, maintaining data entry accuracy can be tough at times for data entry operators who have to key in tons of data on a daily basis. Chances of omissions, duplications or incorrect entries can all hinder the accuracy of the database and can throw the entire system off track. Erroneous data could lead to poor decisions and escalating operational costs for managers that could even break their competitive edge. Here are some tips to improve the accuracy of data entries. 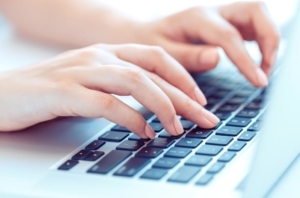 Tips on How to Improve Data Entry Accuracy. First thing first! Businesses can get started by identifying the sources of data discrepancies to sort the issue. It could arise due to incorrect values, data conversions or time-bound changes. If you can find the source of errors, it will be easy to fix it. Set a realistic data accuracy goal to improve data accuracy and maintain a scorecard. The data entry team can be evaluated and scored based on their efficient data capture and entry. Use state of the art technology and software tools like Intelligent Character Recognition (ICR) and Optical Character Recognition (OCR) that will reduce the workload of the team by automatically reading and extracting certain data. It will also ensure more time for proofreading and analyzing the data for the data entry operators. Though a decent output is definitely a plus point for data entry personnel, it should not be at the cost of quality. Speeding up tasks might lead to more errors. Reviewing the data can reduce data entry errors to a large extent and there should be a proofreading and quality checking system in place, which will help businesses to spot errors and remove them at the source. Make use of the latest software tools and technology to derive automated error reports, which will help the operators to spot errors easily and rectify them. Make the employees understand the key role data plays in the successful operation and profitability of your business. It will make the team more responsible and committed to their job. Training your team on the importance of data entry will make a quality change in the output. Organizations should set a paradigm for data accuracy, which will help them to check their rating and plug the loopholes if any. Consider any data entry accuracy standards such as data monitoring, geo-coding, matching, linking and data profiling that will help you to conform to the standards. A healthy and comfortable work environment should be ensured for data entry professionals so that they can focus on their work with minimum distractions. These could be in the form of convenient desks, ergonomic chairs, and timely breaks etc. Always make sure not to overload the team and put undue pressure and unrealistic targets on them. Overloading your team can make them tensed and tired and more prone to making mistakes. Hire more resources and delegate the work equally among your team members. If you have work overload you can even outsource your data entry needs to meet the deadlines. Data entry is a key task across divisions and these tips will go a long way in enhancing the quality of the data entry. Businesses have found outsourcing data entry to a professional company to be a viable solution to their data entry challenges if they are running short of time or budget. If you are looking for a high-quality data entry outsourcing, call us at Sasta outsourcing and leave the rest to us.